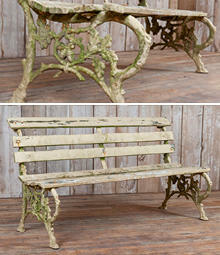 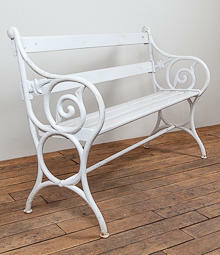 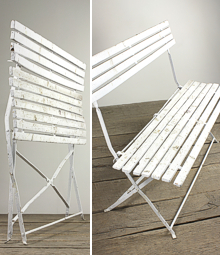 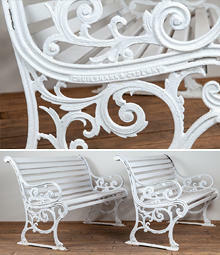 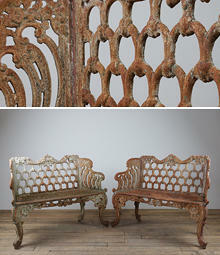 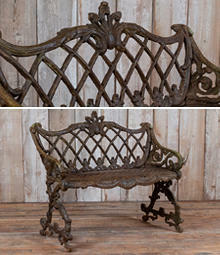 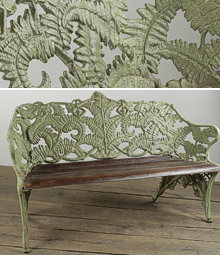 Antique benches come in all shapes, sizes and materials. 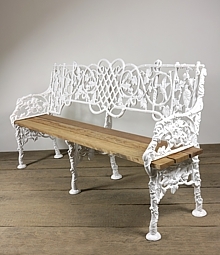 One of the nicest benches we ever had was a stone bench converted from a massive 10ft ancient limestone trough, sitting on stone staddle stones. 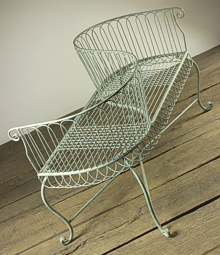 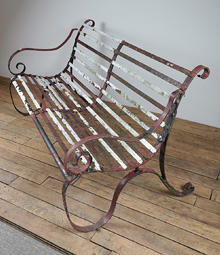 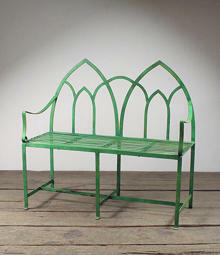 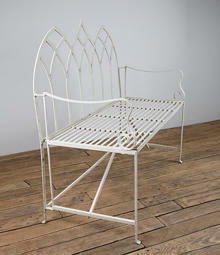 Typical English 19th Century strapwork benches always look good in British gardens and they last well. 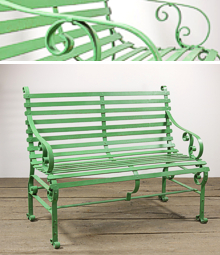 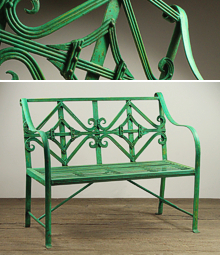 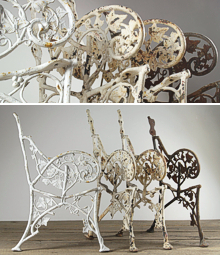 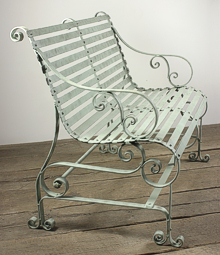 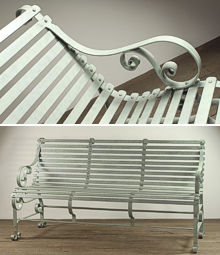 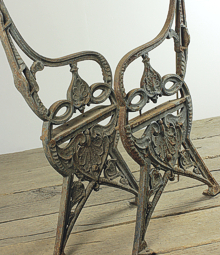 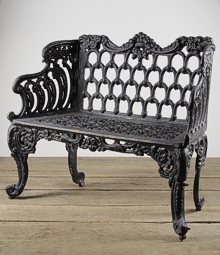 Some of the finest wrought iron benches are from the Regency period, with delicate strapwork, often curved and reeded, these are unfortunately rare. 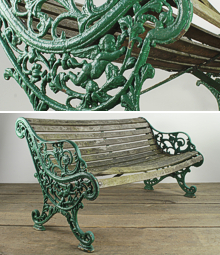 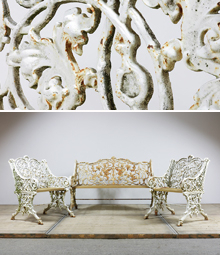 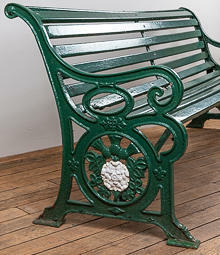 We always have a good selection of Victorian cast iron benches, the best known are the Coalbrookdale series of benches from their Ironbridge works - the Grape and Serpent pattern, their Lily and Nasturtium patterns. 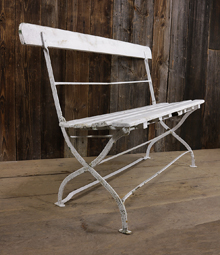 Other well known foundries of the late 19th Century include the Scottish Falkirk foundry and the French Val D'Osne Foundry, We always have a good selection of benches, old and reproduction, in cast iron, aluminium, stone, marble and composition stone.